Ho-hoo-hoooooo, I'm coming with presents kids!! 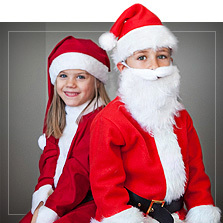 Transform yourself into the life and soul of Christmas and make thousands of children happy with these Santa costumes! 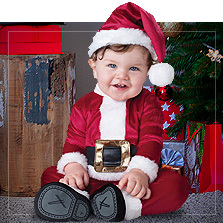 You can only find the best selection of Santa fancy dress costumes for kids or adults at Funidelia in order for you to celebrate Christmas as it should be. 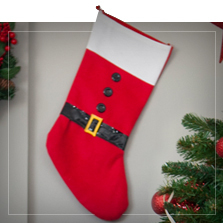 Put on a Father Christmas costume for girls or a traditional costume for adults with red shorts, a black belt and a red jacket with white edges or, if you prefer, we have the sexiest versions of this mythical character. 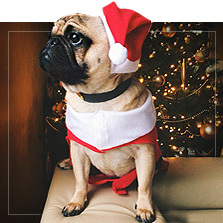 You will also find Mrs. Claus costumes for women or girls... and even for your pet. 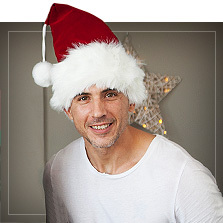 But, above all, don't forget to give your Santa costume the magic touch with one of the most original Santa hats that you can find in our catalogue. 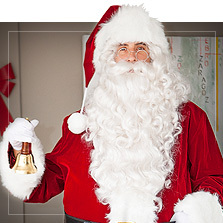 With a white pom pom, a bell... as you would like it and all very fun. 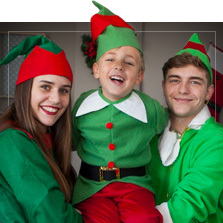 If you like our Santa fancy dress costumes, we are sure you will love the other Christmas costume suggestions that we have for you: Rudolph the reindeer costumes, Christmas tree costumes, characters from nativity scenes... Make this Christmas unforgettable! Includes: jacket, trousers and hat with felt edges and belt.